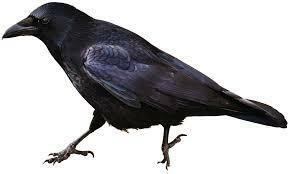 The Vilas County Public Health Department is reporting that a dead crow found in Vilas County on August 11 has tested positive for West Nile virus. This is the first bird that has tested positive for West Nile virus in Vilas County this year. It's not the first bird found with West Nile virus in the area, though. A bird found in Oneida County on July 29 also tested positive for West Nile virus. Health Officer Gina Egan says this positive means Northwoods residents should continue to be careful around mosquitos, since West Nile virus is spread to humans through the bite of an infected mosquito. She says some of the best ways to avoid mosquito bites are using insect repellant, limiting time outside at dawn and dusk, and limiting outdoor water sources. The Wisconsin Division of Public Health will continue surveillance for West Nile virus until the end of the mosquito season. To report a sick or dead crow, blue jay, or raven, please call the Dead Bird Reporting Hotline at 1-800-433-1610. The Oneida County Health Department reports a dead crow found in Oneida County on July 29th has tested positive for West Nile virus. This is the first dead bird that tested positive for West Nile virus in Oneida County since surveillance for the mosquito-transmitted virus began May 1. The positive bird means that residents of Oneida County need to be more vigilant in their personal protective measures to prevent mosquito bites. West Nile virus is spread to humans through the bite of an infected mosquito.